/ Internet Tips Tricks / What Types Of Services Can A Digital Marketing Company Provide? SMO is an incredibly powerful online marketing service because people all over the world now regularly use channels like Facebook, Twitter, LinkedIn, Google+, and Pinterest. By connecting with your target market through these channels, you can expose them to your brand, build relationships, and earn life-long customers. There are several internet marketing companies that offer SMO services, including Solid Cactus. 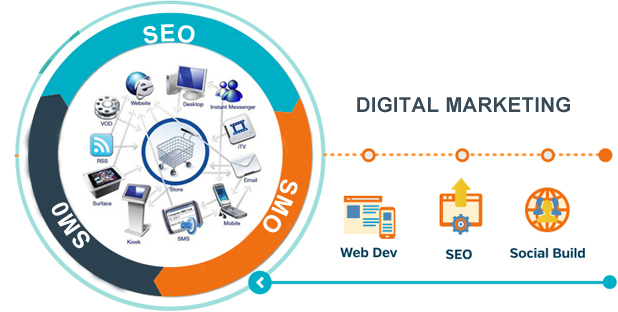 ORM is another digital marketing strategy that can empower business owners to make effective use of the Internet realm. ORM is all about ensuring that the client’s online image remains positive and powerful. This step is quite important in a contemporary world where more and more people have begun leaving online reviews regarding the products and/or services offered by specific brands. If your brand receives a large number of negative reviews, this could compromise the company’s reputation and ability to generate substantive conversion rates. Digital firms prevent this from happening by offering a wide range of brand-building ORM services. For example, the firm might encourage individuals who love your products to post a positive review of your line via Twitter or another social media network. SEO is one of the most important digital marketing services an advertising firm can offer. This is the case because SEO services help optimize your brand’s visibility across pertinent online platforms such as the SERPs of engines like Yahoo and Google. There are numerous SEO techniques that digital firms can implement to facilitate this outcome, and some of them include link building, keyword analysis, and target market research. Don’t Delay: Start Utilizing Digital Marketing Services Today! If you’re interested in using digital marketing strategies to build your business, you should know that there are numerous effective methodologies available to you. Some of them include social media marketing, public relations, and online reputation management. Related to "What Types Of Services Can A Digital Marketing Company Provide?"